I know, the first thing some people might wonder when looking at this is, “why would someone do that?”. 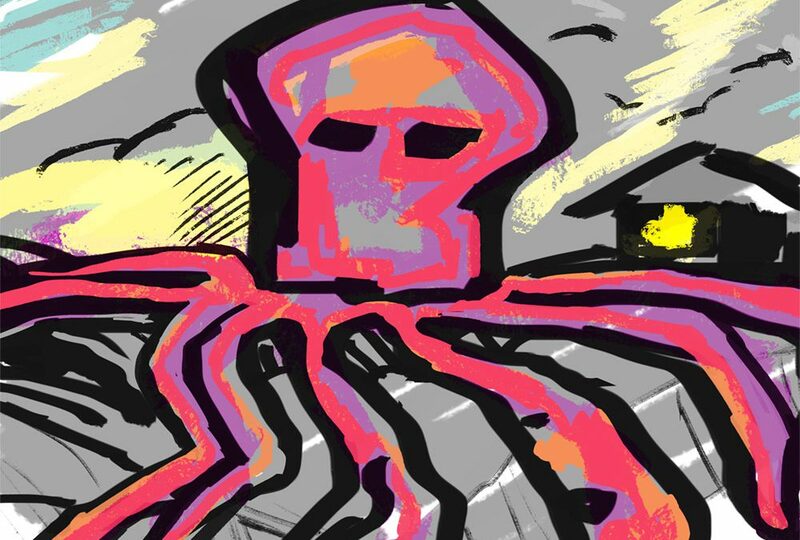 Well, this is Planet Frenzy and Planet Frenzy is like the Island of Misfit Toys from that old 60’s Christmas Special, Rudolph the Red-Nosed Reindeer for ideas… no squiggles (speaking of squiggles just look at Squiddy go! This is a sure target for animation practice!) are turned away, if they have spirit! Just warming up the wrist with my Wacom and seeing the illustration without concern of polish is nice. 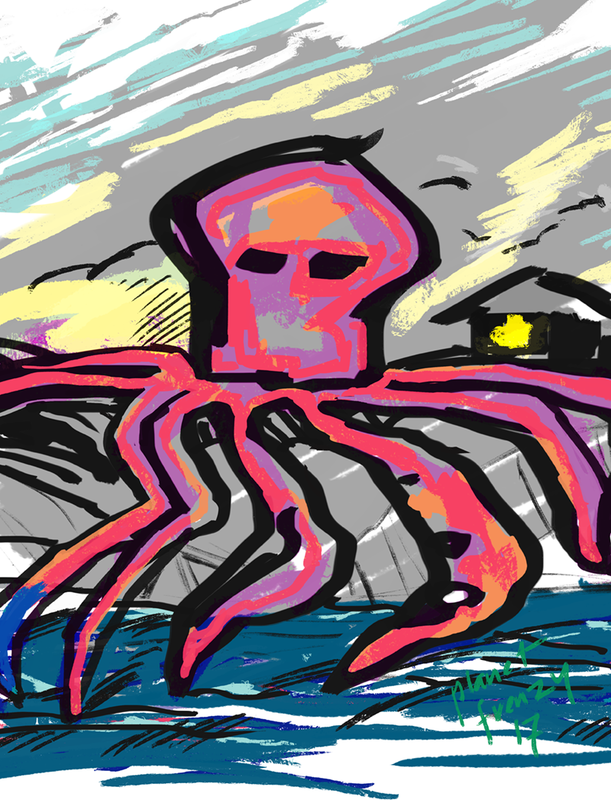 And while a picture is worth a thousand words, Coastal Squid Attack is at least worth a B movie script. No? Maybe one like this?